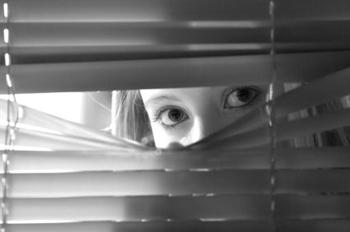 I had an experience with stalking years ago that unnerved me – but not in a frightening way. One day I noticed a non-abusive ex riding past my house. It isn’t uncommon for a driver to not notice the “dead end” sign at the beginning of the street I lived on. In this case however, he knew the street had no outlet, and therefore he had a specific purpose in mind. This particular day I was sitting by the window watching the squirrels chase one another – I noticed my ex driving by. He drove to the dead end, turned around and drove slowly back the other way. At another time I was shopping at my neighborhood supermarket, turned to place fruit in my cart – and there he was – just standing behind me watching. I was surprised, but not afraid because he wasn’t an abuser, just someone who decided on the wrong woman and had regrets – oh well. Anyway, we greeted one another and I noticed the lonely loaf of bread in his cart. I supposed this was his way of not drawing attention to himself – just another shopper. I was a bit curious though – he did not live in my neighborhood. And I am certain that he passed many stores on the way home that sold a loaf of bread. He briefly indicated that his marriage was not going well, but he never said that he made a mistake in his choosing. Later I figured that he had, for why stalk me – an ex, ride past my house, and follow me to the supermarket? Did he leave with the loaf of bread? I do not know. At our departure, my mind was racing, wondering how I missed signs that I was being stalked – especially when he confessed after I told him I saw him riding past my house – “It’s not the first time.” WOW! Talk about feeling weird at the thought of him following me around. I missed the signs because I was not expecting this type of behavior from him. More so, I did not know what type of vehicle he drove until the day I saw him driving by. We crossed paths at a later time and he was driving yet another vehicle. This is one of the ways that abusers stalk their victims. They somehow obtain different vehicles, sometimes borrowed, and follow their victims. I thank God this wasn’t a domestic abuse situation for I could have been killed or seriously hurt by an avenging mad man. It happens every day in America – we just don’t hear much about it. From state to state, stalking laws may vary; however, the essence of the act itself is standard across state lines. Stalking is intentional and intended to make your life miserable, cause harm or death. Many abused women feel safe once the abuser has left the home – but are they really? You change your locks, install a security system, get a vicious dog, perhaps buy a gun – do all that is necessary to protect yourself at home. But what happens when you go to work, church services, the dentist or the supermarket? 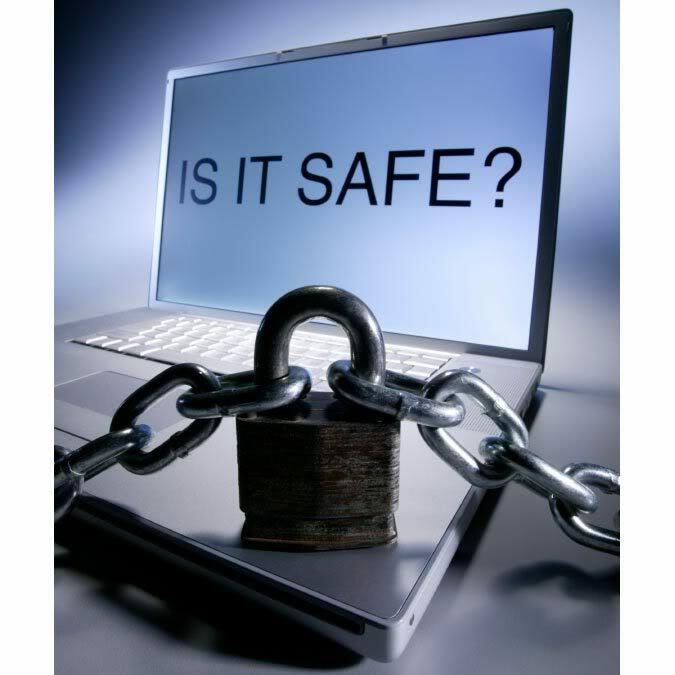 Are you safe? Many abused persons are not. In many cases there are connections such as children, a marriage, property and other avenues abusers use to maintain control over your life. Shared friends and family often serve as information portals for abusers to keep abreast of the events in the life of the abused. When the abused makes the decision to leave abuse, as difficult as it may be, leaving shared friends often becomes necessary. Some friends may side with the abuser and feed him information that the abused shared in confidence. I highly recommend watching STALKED: SOMEONE’S WATCHING on Netflix, and on Youtube there is a three-part training video free to law enforcement inspired by the stalking death of Peggy Klinke. Ms. Klinke was stalked and murdered by her ex-boyfriend in January 2003. Originally designed for educating law enforcement, it is noted that the training video can be utilized by any organization or individuals. One of the stalking myths in domestic situations especially is the belief that ignoring the stalker will cause he or she to just go away – not so. In Peggy Klinke’s situation, her abuser Patrick Kennedy was relentless in pursuing Peggy hoping to win her back. He would call her cell phone every day, all day, and even showed up at her doorstep with flowers and an engagement ring. Peggy was through with emotional and verbal abuse – she got out of a bad relationship – but she had no peace. Manipulative and smooth talking abusers like Patrick do not handle rejection well. When he found out Peggy was in a new relationship he started harassing and threatening her new boyfriend. His desperation intensified to a new level which included setting fire to the new boyfriend’s house. It was never proved that Patrick was responsible, but the couple knew he was the guilty party. This was a major turning point in Peggy’s life. She moved to another state to put distance between her and her dangerous stalker while awaiting his trial date for felony stalking. Her extensive documentation was enough to obtain a charge against Patrick. It is a fact that abused women are in more danger when they leave their abusers. Friends and relatives often help the abusers locate the abused as depicted in the movie “What’s Love Got to Do with It? Ike Turner bought Tina Turner’s mother a house, and probably gave her many other financial benefits over the years. In turn, she felt obligated to tell Ike where Tina was so he could bring her and the children home. In other cases, friends and family may be frightened and threatened harm if they did not tell where the abused is hiding. Abusive stalkers go to extremes to maintain some sort of control over their victims. They are known to plant GPS systems in the vehicles of the abused, and hack their computers. What happened with Sandra’s computer is a form of “Gaslighing” – designed to make you feel that you are losing your mind. In this case however, this was another way her abusive husband kept tabs on her. Sandra left her abuser when she found out what her husband was doing behind her back. She wasn’t losing her mind after all. Unfortunately, leaving changed the game plan to murder. Sandra’s husband ran her down with his car in the Walmart parking lot where she worked. He then shot himself in the head – never a thought about their children. “Many times, they give you a phone for Christmas, and then they know your every move. He can see every phone call that’s made,” she said. Stalking extends the abuse once suffered at home, for the physical and emotional symptoms are the same. 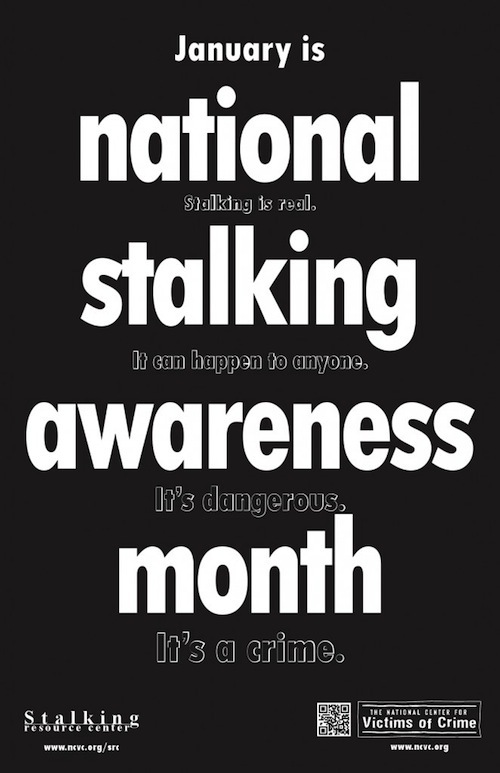 Stalking causes many sleepless nights, anxiety, vomiting, headaches, exhaustion, and fear. 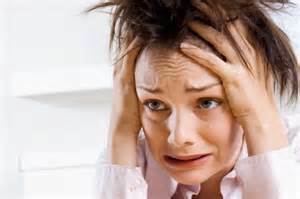 The uneasiness stems from fear of what the abuser may do because she left him. Many survive stalking from an abusive ex, and countless others do not. Those words are not comforting. Peggy documented “200 pages” of stalking incidents concerning Patrick, but she never got the chance to present the evidence in court. At least she did what she could do to hopefully end the madness. If he had not killed her, perhaps he would have served jail time. But what happens when abusive stalkers are set free? Would the abused still have to look over their shoulders? Would the abuser’s anger intensify because they were incarcerated? Patrick ended both their lives. When abusers stalk their prey, it is with the intent to do harm. Tell someone; involve others that can look out for you. Document, document, document – even though this may not have helped others, it may help you. Don’t keep abuse a secret, it may cost you your life. Take your time getting to know a potential mate. Beware of men who come across as the most charming, helpful, thoughtful, sweetest man you ever met – test the spirits. Peggy was killed six days before Patrick was to stand trial for felony stalking. Her documentation gave the authorities the ammunition they needed to bring charges. “Every domestic violence case should be looked at as a potential stalking case. Female Stalkers, Part 1: What is Stalking and Can Men Be Stalked by Women? Please click on picture to submit a prayer request. Awesome blog… Thanks for finding me so that I could find you… Blessings to you! Thank you, and you are very welcome! I love your blog as well. A blessing in return. It’s frustrating reading this. I’m proud of ALL stalking survivors,but men aren’t always the perpetrators. Sometimes, WE survive stalking. Nobody, including police, seem to care about us men, who are admittedly in the minority, of surviving stalking. We survive stalking too. We need a voice too. Hello umbrella0326, I agree that men can and are often victims of stalking. As far as needing a “voice,” men who are abused and mistreated much speak out more. There is a hidden shame for men to admit a woman can be their worst nightmare – but it is a fact. It just happens that more women speak out and seek help. I assure you this article wasn’t an intent to discount the suffering of men. As you read through my blog, I include males as needing to be heard as well. Thank you for your comment.